If you're thinking of taking a vacation, but need a place to put your canine baby, then you may want to check out The Bark Club. The brainchild of Mumbaikar Shyamax Presswalla, The Bark Club boasts of providing a safe and secure environment for pets and proudly claim that it is 'a home away from home'. Being a pet parent himself, Presswalla couldn’t find an appropriate boarding centre for his dog, which is when he realized the importance of having a secure and safe environment for both pets and pet parents. He built The Bark Club in December 2016 and ever since has been providing a safe haven for furry babies. 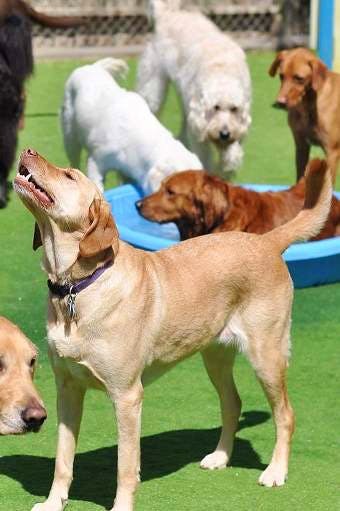 The services offered at the 'Pet Hotel' - if you would like to call that - include pet boarding, day care, hydrotherapy (with a 25-foot long swimming pool), a dog park, as well as pet parties. What’s more, the home stay is a quarter of a kilometer away from the nearest vet, in case your baby falls sick. So if you've ever wondered about taking a vacation, but hold back thinking what doggo would think, you need not fret. By the time you're back, who knows? Doggo would be so used to the luxury life that s/he would initially be reluctant to leave all their friends and come back home.